The monster El Niño everyone's been talking about for months is finally taking hold of the weather pattern in the U.S. 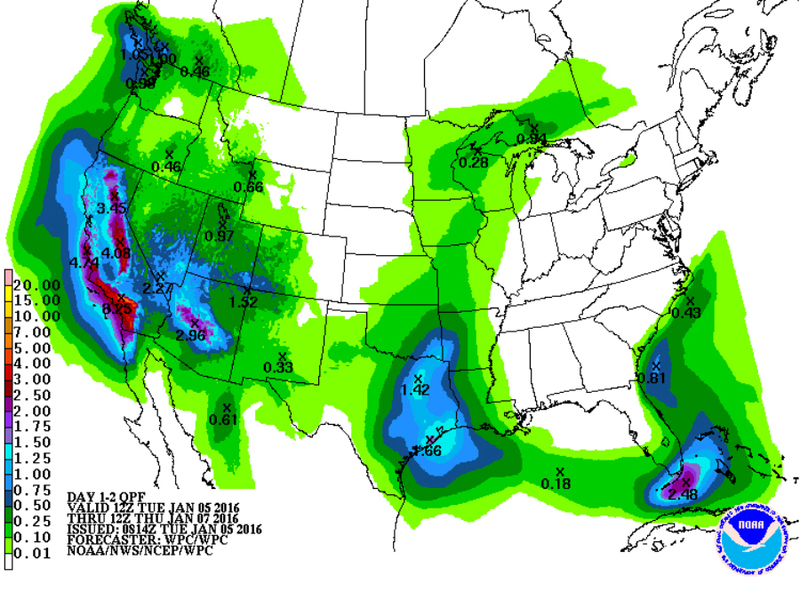 This means plenty of rain for everyone up and down the West Coast. Parts of southern California where drought conditions have hit hardest will get some heavy rain over the next couple of days. Some places are getting upwards of eight inches of rain! In addition to the rain, higher elevations are getting snow, replenishing the all-important snow pack that's been diminishing for years. Now, Storm Shield App users in the West have been getting Winter Weather Advisory and Winter Storm Warning Alerts for days. Effects from an El Niño are most strongly seen in the United States from January to March, so this is prime time for the rain to be hitting the western third of the country. 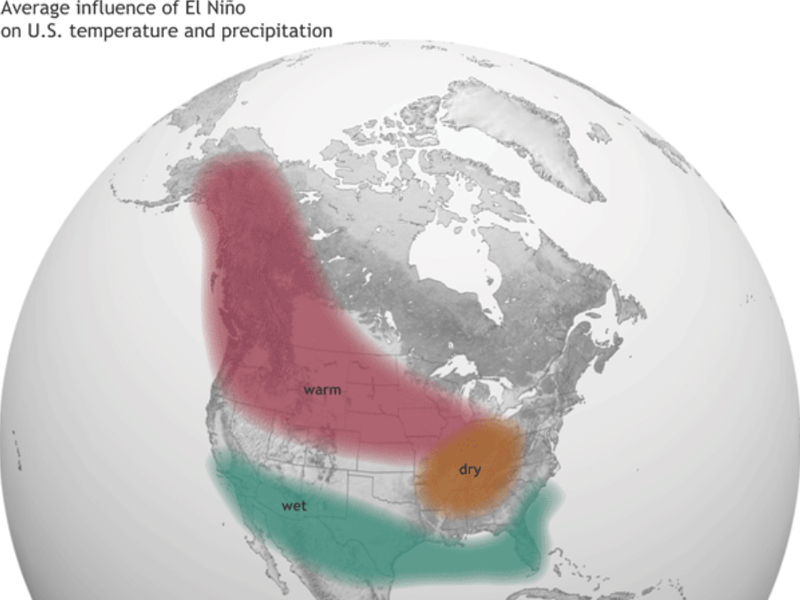 During El Niño years, the southern half of the country, including parts of Southern California, see wetter, cooler winters, while the northern U.S. sees warmer, drier conditions. These conditions can waver and bounce back and forth, but for now, it appears the El Niño is really taking hold of the weather.